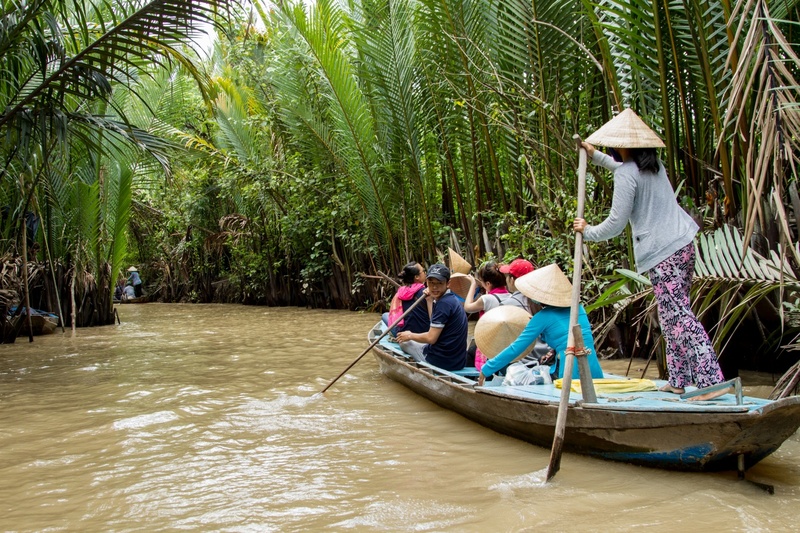 You will have a great experience and exploration to enjoy of culture, historical relics, beautiful landscapes, daily lifestyle, and friendly people of HCMC and Mekong Delta area with amazing Southern Vietnam during your trip with 6 days. You will be greeted by your guide upon arrival at HCMC’s Tan Son Nhat International airport. You will then be transferred to your hotel in town for check in. 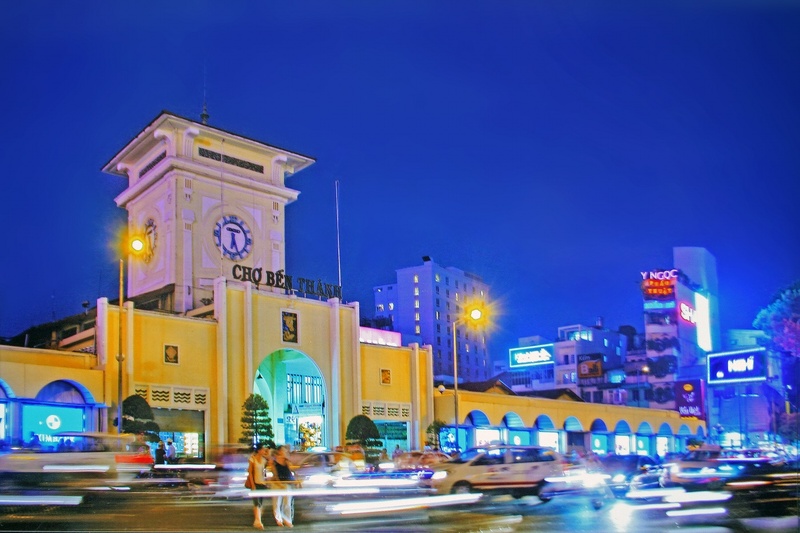 You will have free time to explore city and get dinner at local restaurant before overnight in HCMC. After breakfast at hotel, you will begin at 09:00 am, your urban experience in HCMC (formerly Saigon) by cyclo through ancient city and Ho Thi Ky flower market and then you will visit War Remnants Museum, Notre Dame Cathedral, Post Office and then fater lunch you move to visit the Reunification Palace, the Opera House and the Hotel de Ville..
You’ll also be able to explore colorful outdoor markets and Dong Khoi Street, the city’s main shopping boulevard with shops selling clothes and accessories by new Vietnamese designers, hill tribe crafts, high quality linens and housewares. Overnight in HCMC. In the morning, you will drive to the Cu Chi Tunnels, which consist of more than 200 km of underground tunnels. This main axis system has many branches connecting to underground hideouts, shelters, and entrances to other tunnels. The network included innumerable trap doors, specially constructed living areas, storage facilities, weapons factories, field hospitals, command centers and kitchens. Today the remaining tunnels have become a major tourist attraction giving the visitor a unique experience and a feel of what underground life was like during the U.S.-Vietnam War. After lunch at local restaurant, we drive to Cao Dai Temples in Tay Ninh. 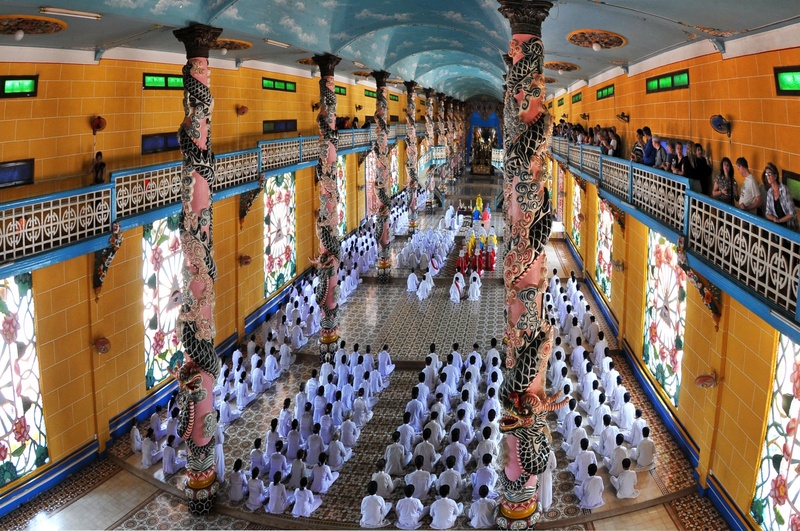 Cao Dai Holysee Temple is the cathedral of the Cao Daism religion with the Divine Eye – official symbol of Caodaism. 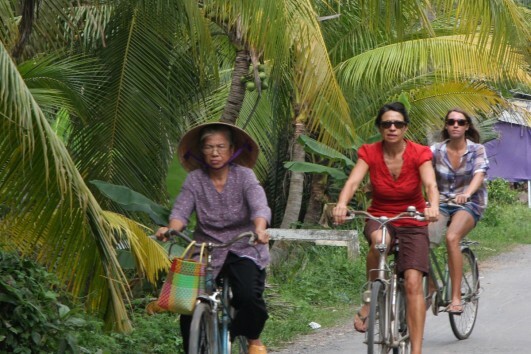 Today, you will a drive to Mekong Delta and settled in Cai Be, well-known for its floating market. Here you will board your private boat for a cruise along the maze of waterways and canals and stop at the home of a Bonsai gardener for a sumptuous Delta lunch, including the popular dish of ‘Elephant ear fish’. You will continue your exploration of the tributaries and canals of the delta and toward the end of the day you will arrive in Can Tho city , the heart of Mekong Delta, for overnight stay. After breakfast, you will take a boat to explore Cai Rang floating market, this is one of the most exciting floating markets in the Mekong Delta Area. 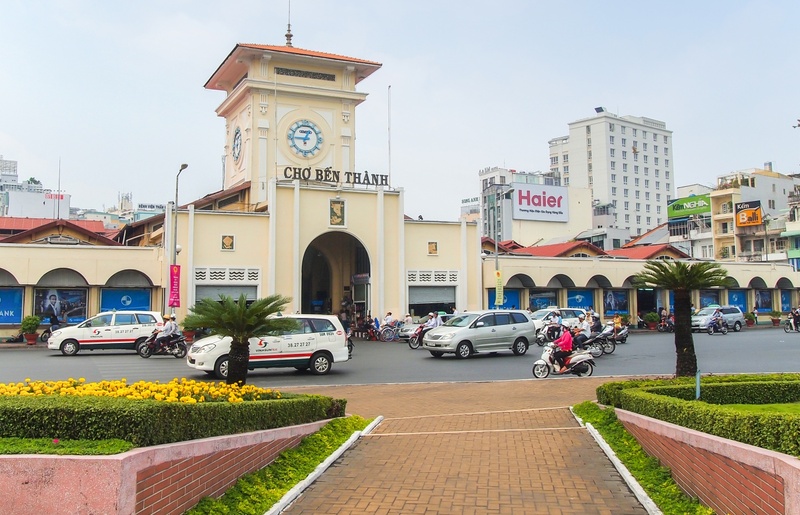 Following this, you will rendezvous with your vehicle for the drive to the town of My Tho, where you will visit the Vinh Trang Pagoda before your return to Ho Chi Minh City. Overnight in HCMC.